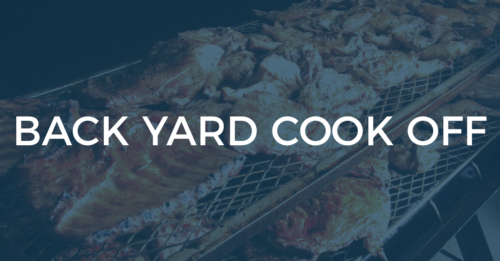 The Youth Backyard Cook Off will be held at the Smith County Fair at 12:30 p.m. on Saturday, July 7, 2018. Judging will take place from 4:00 to 5:00 p.m.
2: Meat inspection will be held from 12:30 p.m.-1:00 p.m. The day of the contest. Once inspected the meat can not leave the contest site. A contestant meeting will be held at 1:00 p.m. All competition meat shall start out raw. No pre-seasoned meat is allowed. Contestant must provide the chicken & pork loins. 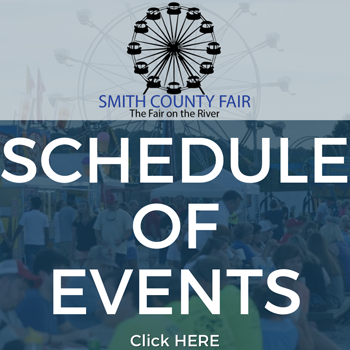 The Smith County Fair Board will provide the beef ribeye steaks. 3: Teams or individual contestants of 6-12th grade students are welcome. 7: Sauce is optional. If used, it shall be applied directly to the meat and not pooled or puddled in the container. No sidesauce containers will be permitted in the turn-in container. 9: Each contestant must submit at least three (3) separated portions of meat in a container. Chicken, beef ribeye steak, and pork loin may be submitted chopped, pulled, sliced, or diced as the cook sees fit, as long as there is enough for three (3) judges. Beef ribeye steak should be cooked medium. 11: Awards will be presented to the top three (3) in each category (beef ribeye steak, chicken and pork loin). A grand champion award will be presented to the overall highest score. Only contestants who enter all three (3) categories are eligible for the best of show.